The Obama administration and the region's federal dam managers are pinning their hopes to the scientific reputation of Jane Lubchenco, administrator of the National Oceanic and Atmospheric Administration. And it's a good call. Lubchenco, a marine ecologist from Oregon State University, is well known in international and national science and environmental circles. She is a former president of the International Council for Science, the American Association for the Advancement of Science and the Ecological Society of America. She was a presidential-appointee for two terms on the National Science Board, which advises the president and Congress and oversees the National Science Foundation. Lubchenco is an elected member of the National Academy of Sciences, the American Academy of Arts and Sciences, the American Philosophical Society, the Royal Society, and the Academy of Sciences for the Developing World. She served on the Pew Oceans Commission and the Joint Oceans Commission Initiative. Lubchenco has a MacArthur ("Genius") Fellowship, nine honorary degrees, the 2002 Heinz Award in the Environment, the 2003 Nierenberg Prize for Science in the Public Interest, the 2004 Environmental Law Institute Award and the 2005 American Association for the Advancement of Science's Award for Public Understanding of Science and Technology. 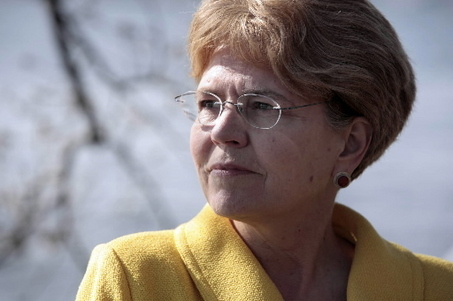 Co-chairman of the Joint Ocean Commission Initiative, Admiral James D. Watkins, who cleaned up a post-Cold War Department of Energy, said Lubchenco is "the rare person who is both a top flight scientist and skilled policy-maker." So when she puts her own reputation beside the review of the biological opinion that was handed the Obama administration from the Bush folks her words carry weight. "This plan is scientifically sound and precautionary. It is flexible enough to adapt to future changes, specific enough to tell us when immediate actions are needed, and forward-looking enough so that it will remain effective over its 10-year life span," Lubchenco said Sept. 15. Redden is going to have to determine for himself how good the science is. He also must determine if the contingency plan put in place to react if salmon continue its long term slide will work. He also will have to consider what happens if he rules the plan is not legal. If he rules the plan is not legal because of the comprehensive review that led to it, that undercuts a separate biological opinion issued on salmon and steelhead harvests. If its throughout it could shut down fisheries from Stanley to Alaska even as Redden requires dam managers to spill more water over dams, draw down reservoirs or take more water from upstream reservoirs. This is the most dramatic moment of this court battle that has gone on almost continuously since 1993. Lubchenco's presence in the court room raises the stakes.